Jumeirah Group has appointed Robert Swade as group chief operating officer following the resignation of Nicholas Clayton, who leaves the company on June 18th 2015. Swade has been an integral part of the senior executive team of Jumeirah Group since he joined the company in October 2005 as general counsel. In 2012 he was appointed as group chief development officer, tasked with building a robust portfolio of future hotel projects for the company. Jumeirah Group presently has 23 operating hotels, a further 19 under development and a total of 70 under negotiation in the UAE, Middle East and Africa, Asia and Europe for both the Jumeirah luxury brand and the new contemporary lifestyle brand Venu. Swade’s long history in the hospitality business started in the south of England, where his family owned and managed a boutique hotel. He started his career as a commercial lawyer, working in both London and Dubai and prior to moving to Dubai, fifteen years ago, he also worked at the House of Commons for a UK minister. Commenting on this senior leadership change, Jumeirah Group chief executive Gerald Lawless said: “I am delighted that, in keeping with our guiding principle of continued development, Robert Swade has agreed to take on the role of group chief operating officer. “In his new position, he will be responsible for our hotel and commercial operations, ranging from our owned hotels in Dubai to our managed properties in the UAE and internationally. “He will also continue to manage the development team as they work on the expansion of our portfolio of hotels. 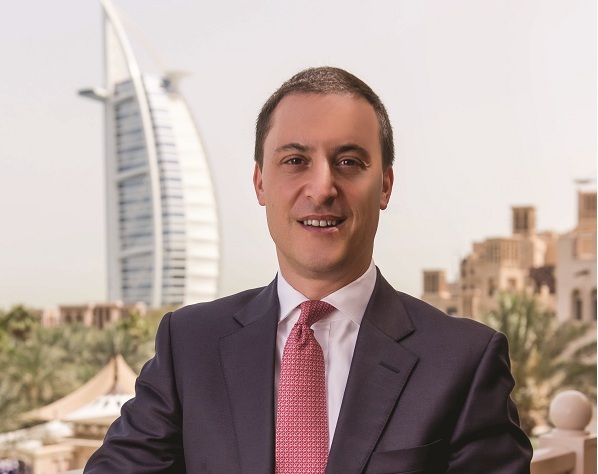 “During his ten year career with the Jumeirah Group, Robert has demonstrated energy, passion and leadership, which has helped drive our business forward.